At Total Heating & Air Conditioning, we offer a variety of solutions that can handle any of your wastewater issues. 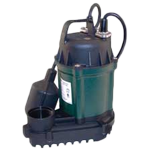 From standard sump pumps to innovative water powered pumps, we can recommend the products that will protect your property from damage. Our commitment to using the best technology and extensive industry experience makes us the best option to handle all of your home or commercial wastewater needs.